Out of the blue, two friends (Pam and Ajo) from my previous work invited me for an impromptu get-together. They wanted to buy drinks as their birthday treat for me. It was a big surprise because I didn’t realize that they’re also in Singapore. I was deeply touched and agreed to meet them after work. At first, we had no idea where to go, so we just kept on walking while looking for a cool place to chill. 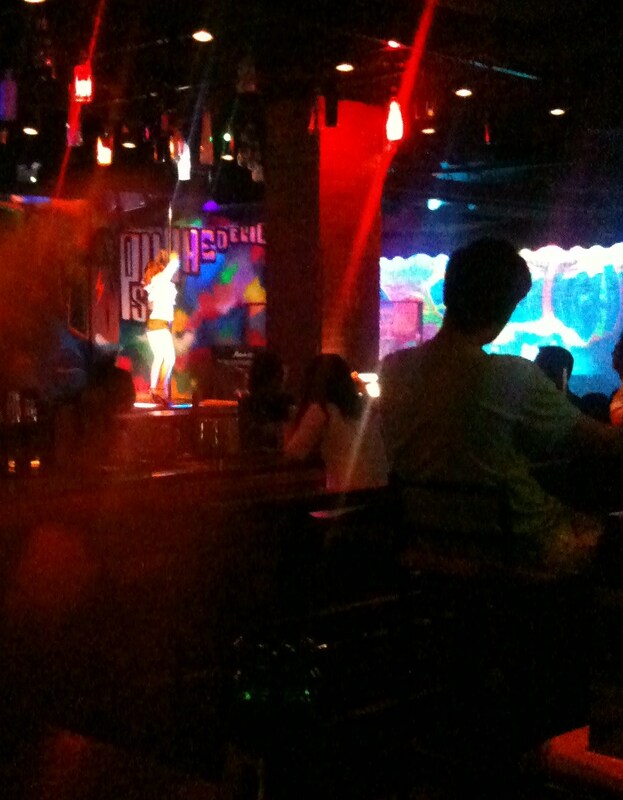 We saw a couple of interesting bars and bumped into a number of gorgeous “ang mohs” (a.k.a. Caucasians). The guys were feast for the eyes! After almost an hour of wandering, we finally settled at a place where there’s a pole dancing. The show was decent in a way because the girls were clad in a short shorts and a blouse. So, it’s not the usual “for the boys only” thingy and there were other several ladies watching as well. The place was excellent for “chillaxin” (coined word for chill and relaxing). It was not too crowded and the people were not rowdy. We enjoyed a couple of drinks while concocting stories about the crowd’s reaction and the way the “show girls” dance. Most of all, we had a great time reminiscing the past and catching up with the latest news about work and personal life.